The predominant model of the universe leaves the Creator entirely out of the picture. To much of the scientific world today, the universe is a great mystery—and a fortuitous, evolutionary accident. We know the Bible tells a much different story, however. This series of articles explores the creation of the universe as recorded in the Bible and examines how a great deal of scientific research—instead of contradicting the Bible—actually confirms the truths God inspired to be recorded in the Bible. Understanding how God made things in the beginning can help us understand things now. Who or what is God? ; What is the origin of the universe? How did life come to be? If man was created 6,000 years ago, how could bones as old as 80,000 years exist? Six days of Creation? ; The Sabbath? ; Adam & Eve? ; Who did Cain marry? Where is the Garden of Eden? ; What happened to Enoch? Was the Flood of Noah a local or worldwide event? Does Genesis allow people to eat anything they want? ; Why was Canaan cursed instead of Ham? Are the table of nations in Genesis 10 mostly fictional? ; Was there really a confusion of languages at the Tower of Babel? 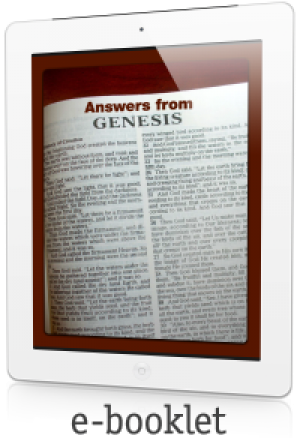 Who wrote the book of Genesis? 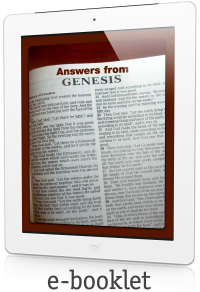 Many accounts in the first 11 chapters of Genesis are similar to the mythical narratives of ancient Mesopotamia, and some of these were written down well before Moses' writing of Genesis. Did the Bible borrow from these other accounts? Your literature has helped me to rebuild and strengthen my faith, thank you.